If your child is a “B” student, he or she may have more options than you might assume. Here is a story of a young woman – I’ll call her Katie – whose mom is a friend of mine. Katie attended a private high school in California where she earned a 3.0 GPA. 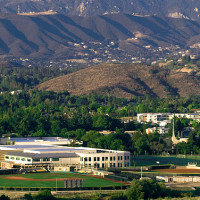 Katie’s first choice was Cal Lutheran, but it offered her the lowest award. Katie’s mom contacted Cal Lutheran and mentioned that the school was her No. 1 choice, but money was an issue and other schools offered better awards. 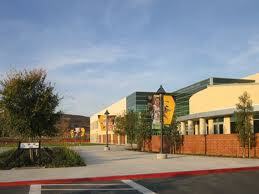 Cal Lutheran asked the mom to fax the other award letters and the school added an additional $3,500 to the yearly award. That brought the first-year award to $12,600 and the total award to $50,400. You might assume that a student with a 3.0 GPA would have trouble getting into many colleges and universities. That is actually wrong. Every year, UCLA does an exhaustive survey of the newest crop of freshmen attending public and private colleges and universities that includes this question: Did you get into your No. 1 school. Every year roughly 75% of freshman say they were admitted into their No. 1 pick. College is actually a buyer’s market at the vast majority of the nation’s colleges and universities. It’s not hard to get into most four-year institutions, but many families don’t understand this because of the media’s craven preoccupation with the schools that are impregnable including the Ivies and other college-rankings alpha dogs. You might also assume that a B student wouldn’t capture any merit scholarships, much less enjoy success in receiving a higher award. But that too is wrong. Beyond the elite institutions, admission directors at most schools are petrified that they won’t meet their annual admission goals. Admission offices are finding it harder to attract enough freshmen. Every year, Inside Higher Ed, a respected online newspaper, sponsors a Gallup Poll of senior admission officers on a variety of issues and the biggest revelation of the most recent survey was the number of schools that didn’t meet their enrollment targets during the 2013-2014 admission season. By May 1, 2013, which is the traditional day when applicants are supposed to make their freshman deposits, 59% of the public and private schools that were polled still had vacancies. In fact, in the survey some schools acknowledged a practice that has always been considered taboo. Some administrators admitted that they were contacting students after the May 1 deposit day in hopes of enticing students who had committed to other schools to change their minds. I had a off-the-record conversation with an administrator at a Midwestern college recently and he mentioned that the number of admission offices trying to lure students to their schools after the traditional deposit date has jumped considerably in the past two years. Schools are trying to poach committed freshmen by luring them with promises of better scholarship deals. This, by the way, is hardly a practice aimed just at “A” students. If your child is a “B” student – and most teenagers are – you should look for colleges strategically when you are seeking to cut costs. In a future blog post, I’ll share some more ideas for students with average grades. My son had a 3.6 weighted GPA. ACT score of 32 (which I know is pretty good). He got a merit scholarship of $10,000 from Fairfield, $$17,000 from Fordham, $5000 from Emerson, and $25,000 a year from Hofstra University Honors college. In the end, he is choosing Hofstra and couldn’t be happier (us too)! My daughter has a 3.36 GPA, but she had a 1.61 GPA at the end of her freshmen year, so we’ve seen dramatic improvement for her in the last two years. We live in California and she wants desperately to get in to a UC, but it looks tough, so I’m trying to get her to expand her horizons. Do you have a list of any other colleges either here in California or in nearby states (Oregon, Washington mainly) that we could consider? She’s interested in English or journalism or film production so she’s not sure yet. Keep in mind that the UC’s don’t consider freshmen grades for admission. Most schools will look at the entire academic record. A school to check out would be Western Washington, which is a wonderful school. If she couldn’t get in the fantastic honors college the first year, she could qualify with good grades after her freshman year. If she is looking at schools on the coasts, I’d suggest she also look at schools in the Midwest that won’t take much, if any more time to reach. 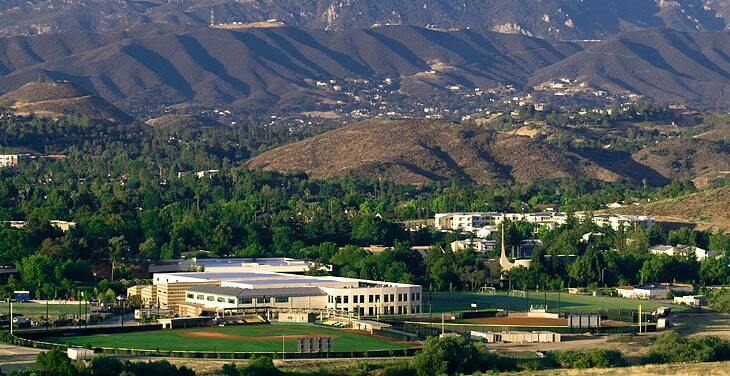 I’d check out liberal arts colleges – check out Colleges that Change Lives for ideas. You can buy the popular book and also check out the website – http://www.ctcl.org/. A wonderful school that’s not in the book is College of Idaho. The school has very highly ranked professors and the price is much cheaper than schools on either coast. I have just started following your website. Great info. Just wanted to ask you if you can put a list of colleges for B average students. I am very happy for your niece! I am curious – did your niece apply late or just heard back late from Loyola? By 11th hour, I assume you mean May 1st. My question to Lynn would be, is it better to apply regular decision versus early action for a better merit aid package? Sorry I just saw your post. I hope you come back to my response. My Niece applied RD, was wait-listed and then accepted with aid. I understand why parents who don’t research colleges beyond reading mainstream media would feel deflated before they even begin the search. With all the super-AP class students called out and the attention focused on the Ivies, a B student’s chances might look dim. But it really, truly begins with simply breaking through those preconceived notions of what makes a good college – and it’s not name and location. Once they get over the lure of the big names, and then the idea of being on the east or west coast, there are unbelievable options and a lot of money available everywhere in between. You have covered this exhaustively over the years. My family also had an unexpected, recurring experience with several less-hyped colleges that welcome B students. That was the friendliness of the people on campus (students, staff, professors) and the friendliness in the surrounding communities. It was refreshing and reassuring, and gave me confidence that my son would not fall through any cracks far from home. My niece applied to a group of schools and got rejected by a few but got accepted PAST the 11th hour by Loyola University Maryland with a very generous aid package and she was a B student. Loyola was one of the schools that had available slots on the list that you mentioned. After I at this school a little more closely I realize that is unheralded. The academics get good reviews and the retention and graduation rates are high. Thanks for sharing. That’s a great example. Good luck to your niece! My daughter was accepted to Loyola University in Maryland. We have not visited the college yet. Is your niece going there currently? If so, how does she like it and what is her area of interest?